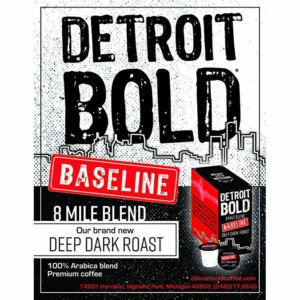 There's a Little Detroit in Everybody - Detroit Bold Coffee Co.
AJ O’Neil took some time out of his busy day to sit down with some of the Detroit Bold staff to discuss the importance of Detroit. This video captures some of AJ’s passion for the city, including the hard-working people of Detroit. Watch AJ talk about how Detroit impacts the economy and hear him tell a story about Henry Ford. You can always purchase Detroit Bold no matter where you are in the world. Order up this Awesome Style Coffee here!